Improve the productivity of your business with innovative, bespoke software applications from Net Technical Solutions. Is your customer information difficult to find or spread across many different systems? Is it held on paper, in spreadsheets, or accounting software? How many different 'back-office' systems do you use in your normal business operations? Are those systems integrated or do they struggle to work together? Does your website engage your customers and is it simple and easy to navigate? 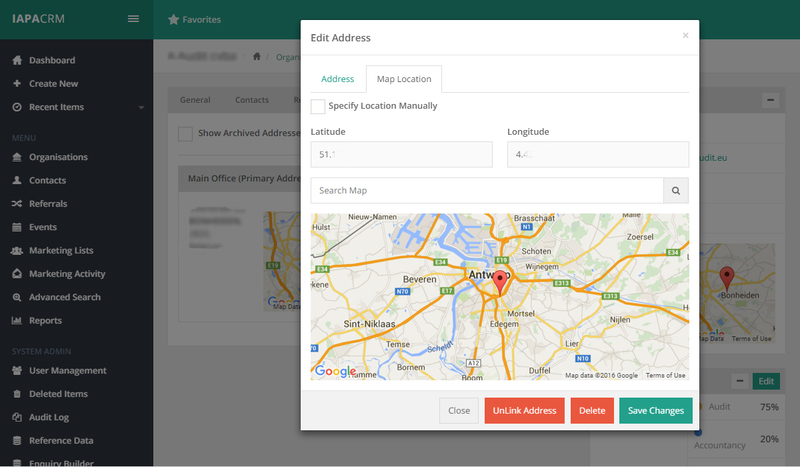 Does it need more functionality to satisfy customers quickly and make your life easier? Do you repeat the same tasks again and again? Has your business built up too many processes which have become complex and potentially inefficient? 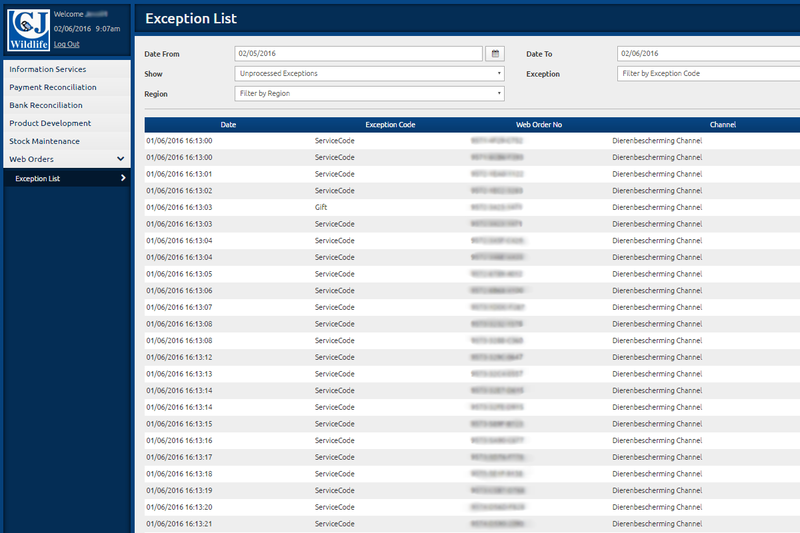 Do your systems offer adequate reporting functionality? 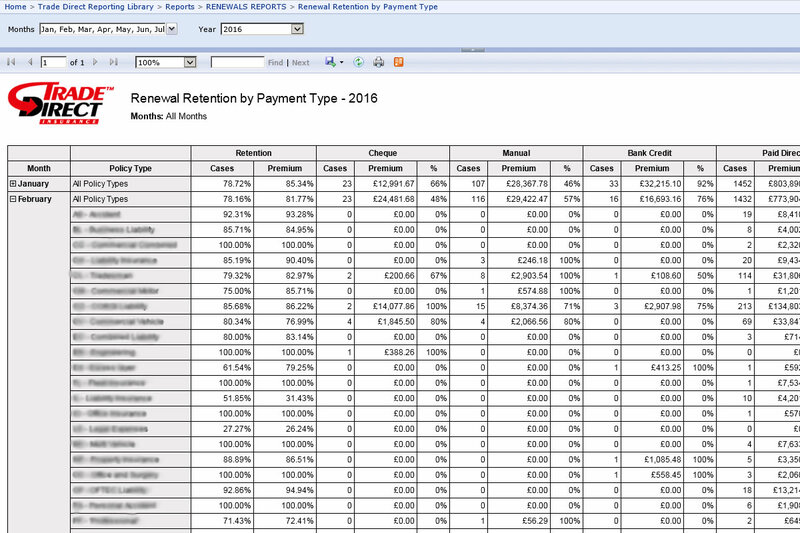 Do you find it frustrating not being able to visualise or analyse your data properly? 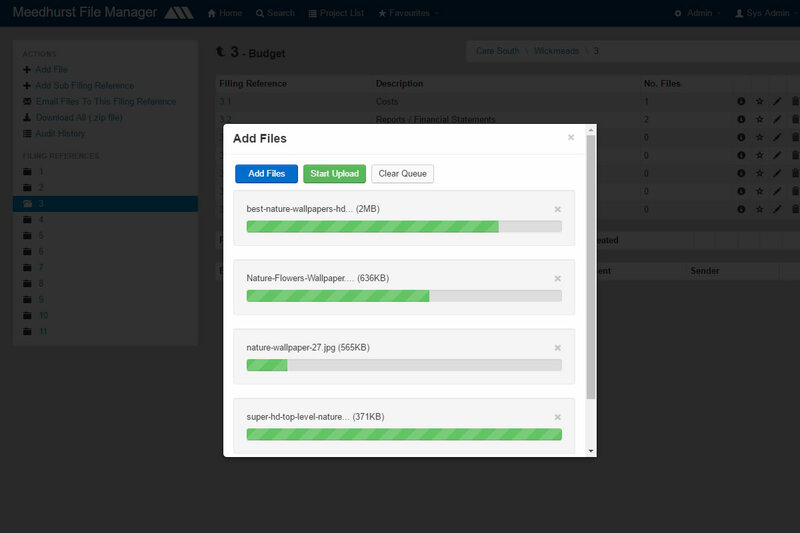 Do you create, share and store numerous files as part of your day-to-day processes? Has this led to duplication of data on your network or fragmented, complex data storage? Need to record time accurately? 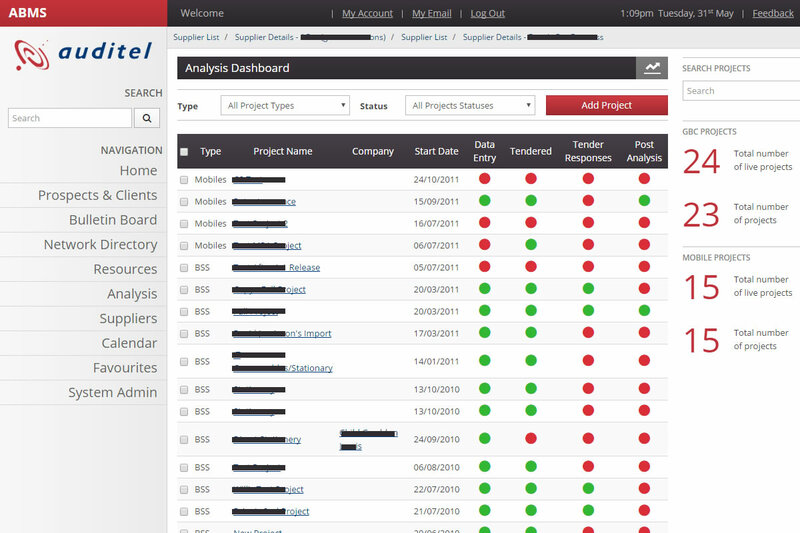 Are you required to log the time spent on projects either for internal reporting or external billing purposes? Net Technical Solutions provides professional, proactive, IT support and services for your business. As a friendly, talented and experienced team, we are dedicated to building strong customer relationships and delivering excellent service at an honest price. We love what we do and are constantly investigating new technologies and ways of working so that we can continually provide relevant and reliable IT solutions that create efficient, productive business environments and really add value. We design and build intelligent, cost-effective and intuitive bespoke software applications, specifically created to help streamline business processes and improve efficiencies. So, if you're looking to enhance one or more aspects of your internal business systems, our experienced team can help you achieve this by designing and developing a bespoke software solution, which, unlike an off-the-shelf package, will be a perfect match to fit your company operations and meet your specific requirements. We will work with you to really understand what it is that your business requires and provide a tailored solution that will solve your concerns, potentially provide cost efficiencies, improve staff productivity and help to give your company the competitive edge. We listen, we discuss and then we advise on the best IT solutions to fit your business needs and ensure the effective running of your company. By understanding what you require, we can help you to plan your project to fit with the objectives of your business. We are reliable, honest and trustworthy and don't make promises that we can't keep. We will work with you to ensure you get the most out of your IT software and are supported by our professional team. We are a talented, friendly and approachable bunch with a 'can do' attitude. Between us, we have a wealth of skills and experience from years in the industry and across a number of sectors to help guide you smoothly through your IT software application development. We love what we do and believe in a pro-active approach with a personal touch. Our enthusiasm for technology and what it can achieve for business means that we will only deliver solutions that really add value to your company. Our open pricing policy ensures that you'll get great value for money. Once we’ve agreed a final project specification with you, we aim to give you a fixed price quotation, and providing that there aren’t any changes from the original agreement, we’ll stick to it. We offer a one-stop-shop solution for all your IT requirements, so you don’t need to shop around and have multiple suppliers looking after your various IT needs. Alongside our application development and support services we also provide traditional IT support for small to medium networks, along with Cloud solutions, connectivity, security and network supply and installation. If you’re not 100% happy with how you hold your customer information and its ease of access then let us help you. At Net Technical Solutions we have a wealth of experience in developing bespoke customer management systems tailored to the specific needs of your business and flexible enough to evolve over time to match your changing requirements. Unlike off-the-shelf software which may be overly complicated or only 50% relevant to your usage and a compromise on your requirements, our bespoke system is specifically designed and built to fit seamlessly into your organization, ensuring that you get exactly what you need and the results you want. And with no tie-ins, ongoing annual costs or licensing fees, you will be able to focus on the successful management of your company's interactions with your customers, clients and prospects. Our customer management system will also help in managing your employees’ workflow, allowing customer facing staff to make faster, more informed decisions on many business aspects, from cross - selling opportunities through to targeted marketing strategies. Efficient storage of all your customers’ information in one place. Fast and easy retrieval of key information when you need it. Effective management of your company’s interactions with your customers. Pulling together of data from different departments, even outside the company, to present a single holistic view of each customer in real-time. Organised, automated and synchronised business processes to reduce costs and increase profitability. No ongoing annual costs and licence fees. 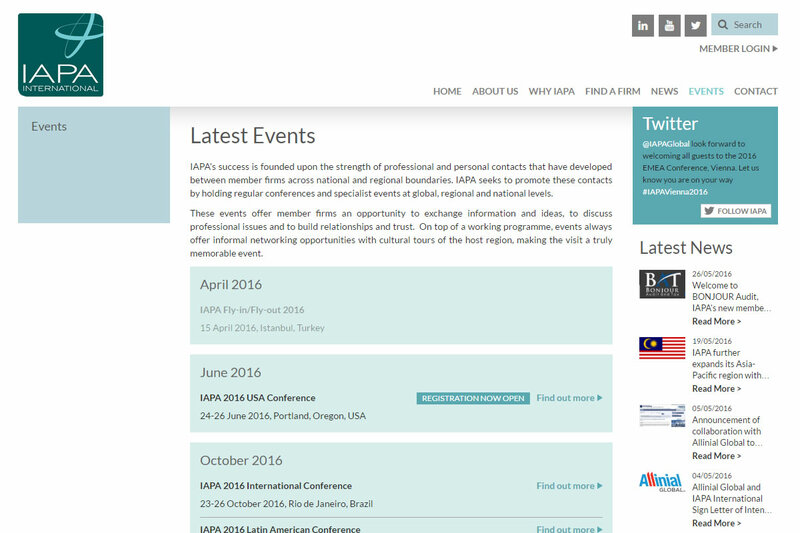 IAPA International Secretariat is a global association of independent accounting and business advisory firms based in Surrey. 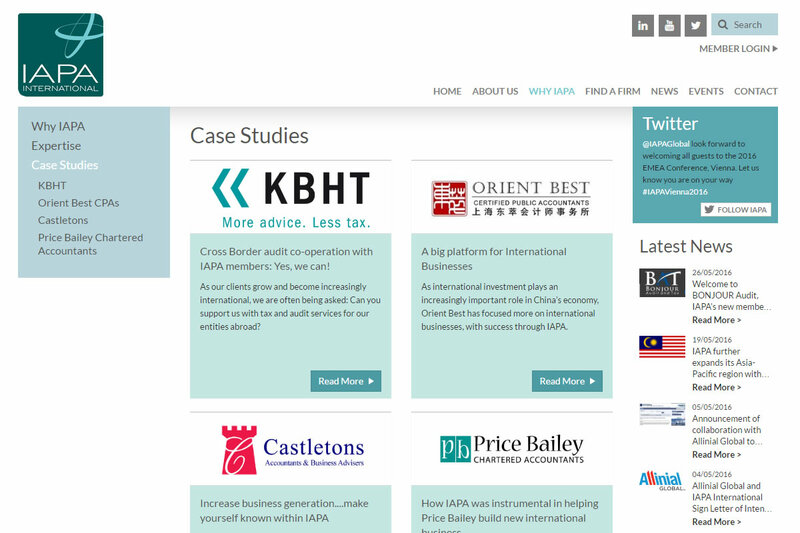 IAPA approached us with the need to have their CRM system, website and member portal refreshed and rebuilt. Their website was outdated, information heavy and needed to incorporate far more interactive and visual content. Their CRM System was an off the shelf product that was purchased around 5 years ago and was clunky, slow and not user friendly. Additionally, the reports system was difficult to use. 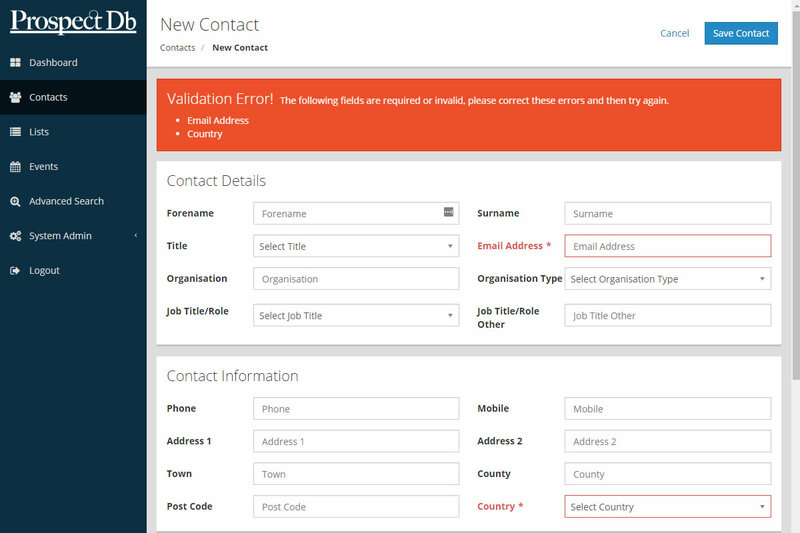 Their customer portal was again old looking and slow but also suffered from some technical difficulties. The portal was supposed to link with the CRM system to allow member data to be kept up to date however there were often discrepancies between the two systems. Having established IAPA’s needs to improve both their company's online image and their customer management and staff's productivity, we refreshed their website to provide a more modern, approachable look/feel, giving visitors a more interactive experience. 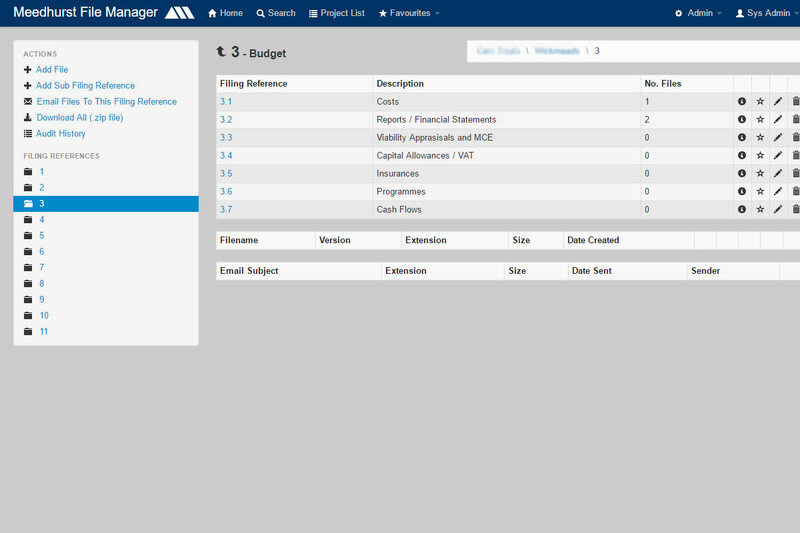 Additionally we updated their existing CRM system into a faster, more user-friendly application. As part of this update, we also improved their member's portal, removing redundant functionality and re-branding in line with their website. "We are really pleased to have found Net Technical Solutions and are delighted with the work that they have carried out for us, both for the website refresh and also improving our CRM system. Right from the start they offered us friendly, professional advice and the work was carried out with great attention to detail and diligence that made the system totally tailored to our business needs. Auditel Ltd delivers cost management solutions to organisations throughout the country across almost all areas of business expenditure. 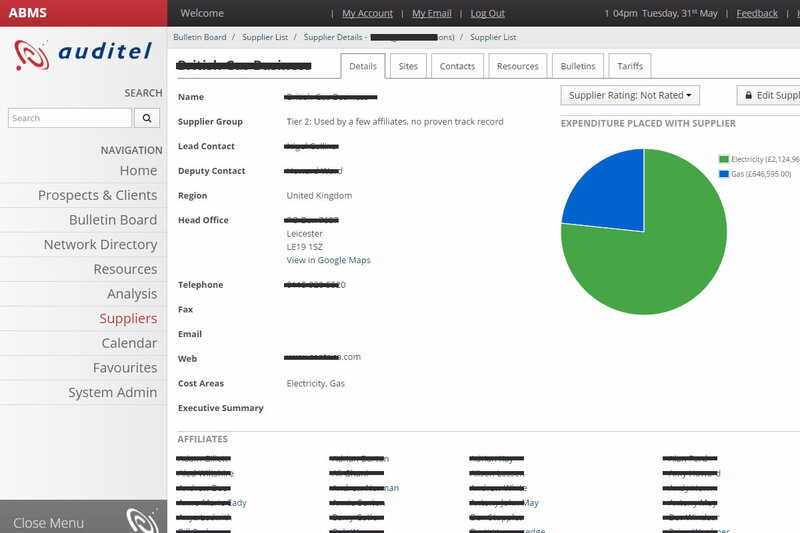 Auditel Ltd approached us to discuss the updating of their intranet system after a discussion on network support where it was mentioned that we also provided software development services. They had an existing intranet system that they used to exchange data within the network of affiliates but had no centralised system to provide their affiliates with tools to manage their individual businesses. The initial specification was to provide a "Client Management System" that would allow each individual affiliate to hold details of all their clients as well as details on any prospects they had. It also allowed them to monitor various aspects of each client to enable them to ensure that tasks were carried out in a timely manner on behalf of their clients. 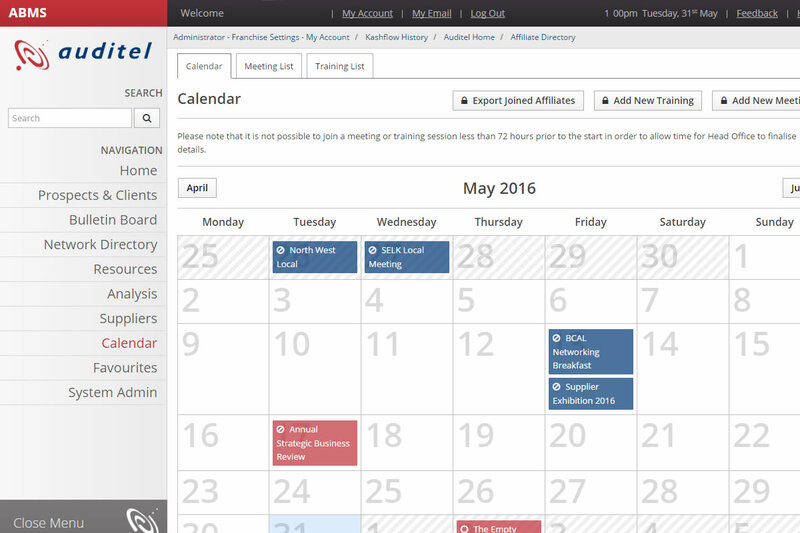 Having improved the functionality and overall design of Auditel's intranet, the system has now evolved over a number of years to meet the demands of their business and offers a complete tool-set to their affiliates. The system has been developed to include bulletin boards for exchange of information within the network, analysis tools to allow affiliates to provide cost analysis services to their clients and integration with 3rd party accounts software. "Right from the start, we knew that working with Net Technical would result in a product that exceeded our initial brief and expectations." Antony May, Business Systems Manager, Auditel Ltd.
Often as a company grows, so does its use of business applications. Without consistent monitoring and updating, very soon you can lose control of your data and business processes, and struggle to get individual systems to work effectively together. As your IT applications become more diverse you can find yourself having to export data from one system, only to then have to import it into another - which is not only time consuming but also open to error and confusion. Systems Integration is the process of linking together different computing systems and software applications physically or functionally, to act as a co-ordinated whole. It can help you to regain the collective benefit of all your applications and create a more productive and simplified working environment. We can help to make your life easier by developing a bespoke systems integration software application that allows your various systems to connect seamlessly together and talk to each other - turning minutes, hours or days’ worth of work into seconds. Facilitation of individual systems to work seamlessly together. Creation of faster, leaner and more productive working processes. Integration with existing systems and flexible enough to adapt to your changing needs and grow with your business. 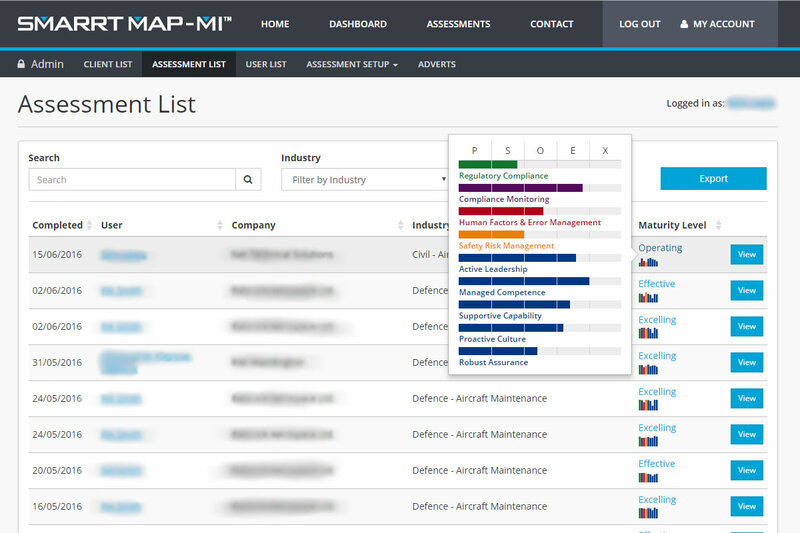 Easier access to relevant information by consolidating data from a number of sources. Provision of a systems integrator with the capabilities to meet today’s challenges and the flexibility to take advantage of tomorrow’s trends. CJ WildBird Foods Ltd are a world leader in the research, design, development and supply of wild bird and wildlife food and feeding products. We were asked by CJ WildBird Foods Ltd to update and integrate their recording systems for ordering and bank recording as their current systems were out dated, difficult and slow to use. 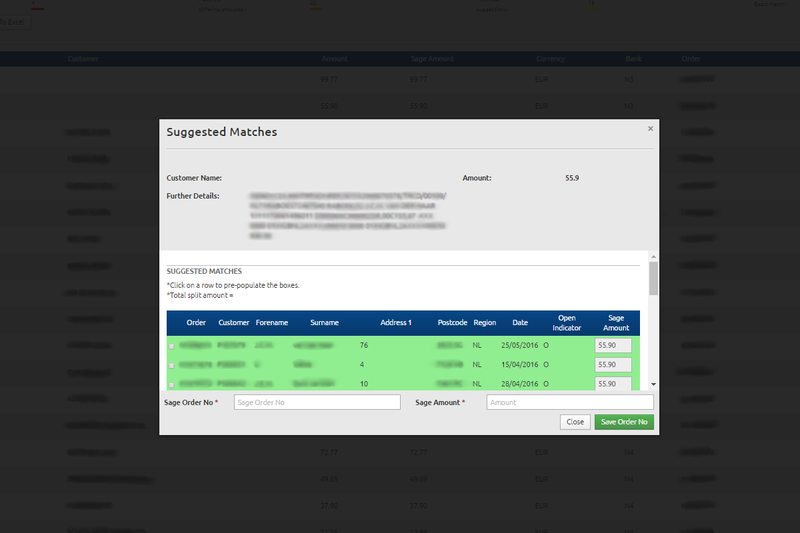 We developed a middleware application that worked with their existing systems to download, consolidate and import online orders and payments across multiple websites from multiple countries across multiple payment providers. "Net Technical Solutions has always provided CJ Wildbird Foods with innovative solutions to some of the challenges which occur when running a business with a diverse range of software. The solutions proposed have always been cost effective and have been delivered on time and on budget. Unlike a number of software houses Net Technical Solutions sell, as their name suggests, solutions and not just a number of days of a consultant’s time. This is really very refreshing. I have no hesitation in recommending Net Technical Solutions to any company who require bespoke software solutions to their business requirements." Neil Maxwell, Group IT Manger, CJ WildBird Foods Ltd. Prospect Magazine is the UK’s leading monthly magazine of ideas, current affairs and culture. 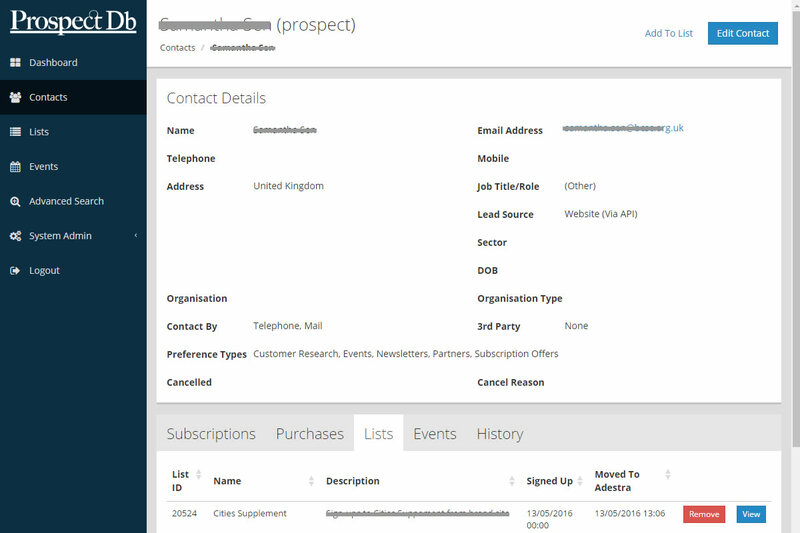 We were asked to develop a marketing database for Prospect Magazine as they needed a facility to allow them to target their prospective and lapsed subscribers. This facility needed to be integrated with various 3rd party systems that they used on a daily basis. They had an existing database for the fulfillment of subscriptions. 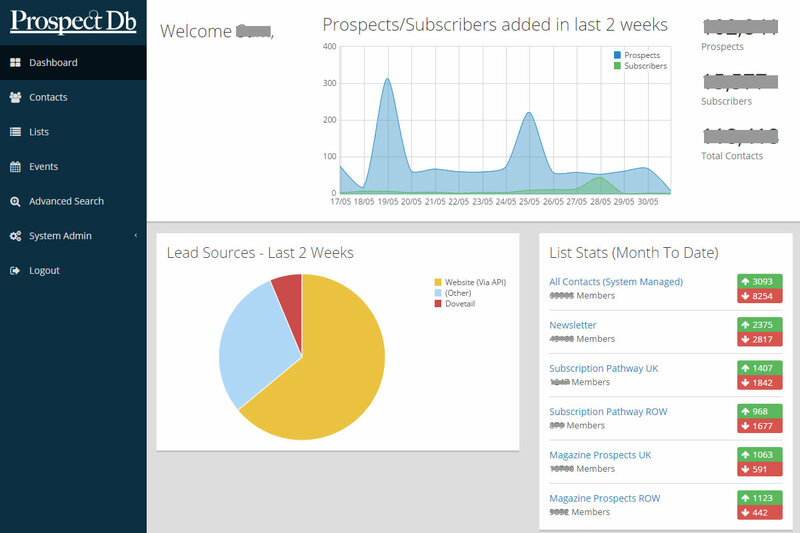 We built a user friendly, client database that could hold details of all their prospects and subscribers. 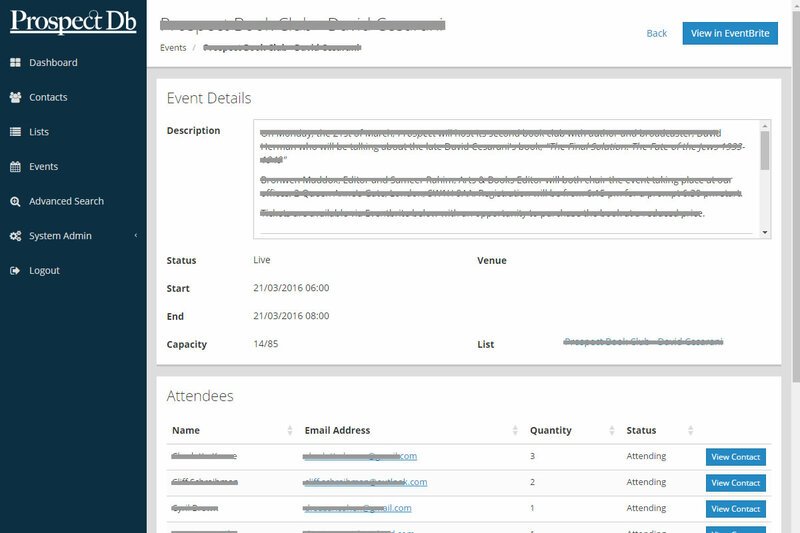 We also integrated this with various 3rd party systems including the main subscriptions database, the app subscriptions database, web-based email tools and an events registration system. “I am delighted with the marketing database that Net Technical Solutions has created for us. It has helped improve results from our marketing efforts to both new and lapsed subscribers. NTS are professional, dedicated and a pleasure to work with and I would certainly recommend them." Paul Mortimer, Head of Marketing, Prospect Publishing. We are passionate about web technologies and constantly keep an eye out for new developments that help improve websites and make them more efficient and attractive to visitors. A dynamic website uses server programming capabilities to generate pages, making them easy to edit, update and include features such as news feeds; blogs; product listings; search functions and shopping portals. They are also designed responsively to give the visitor the best experience possible by automatically adapting and changing to fit the device they’re being viewed on, whether it’s a mobile phone, tablet or desktop monitor. So whatever your business needs, our technical team will work with you to develop a dynamic website that not only fulfills your company’s online objectives but also makes it more enticing for your visitors and gives you the competitive edge. By providing good quality, responsive design built from scratch, we can turn your website into a highly functional sales and marketing tool which will allow you to connect with customers, prospects and staff and ultimately improve your bottom line. More functional website focused on your business objectives and customers’ needs. 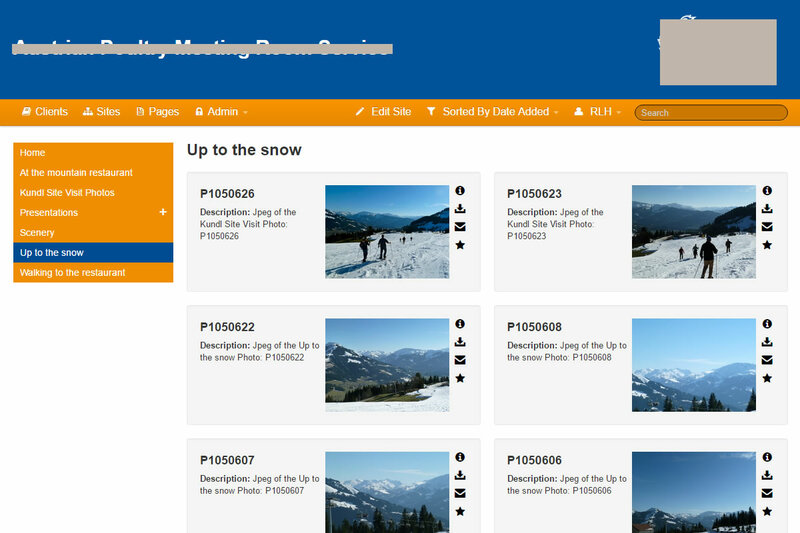 Bespoke web based content management system allowing easy updating of content and regular design changes. More interesting, interactive visitor experience through the dynamic content – users can interact with the content, share it or get served with personalized content based on their preferences. 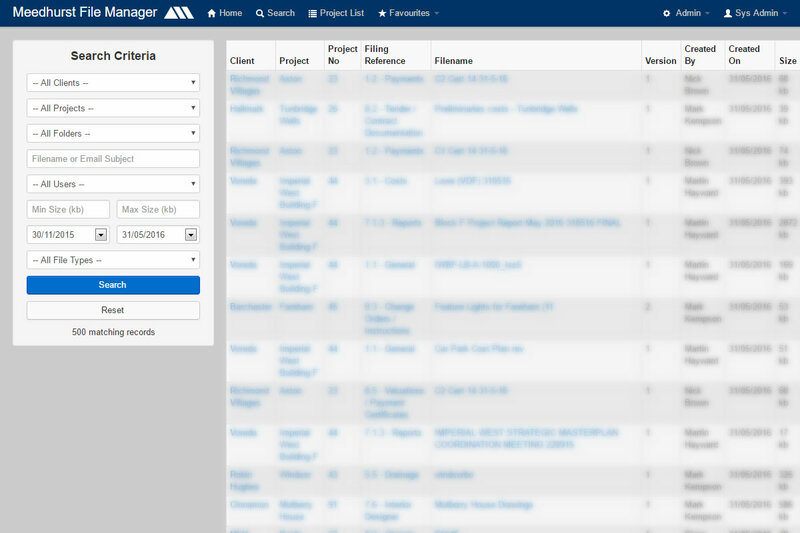 Gives the ability to work as a collaborative system for staff or users. Ability for the website to be viewed on any device - mobiles, laptops, tablets, etc. 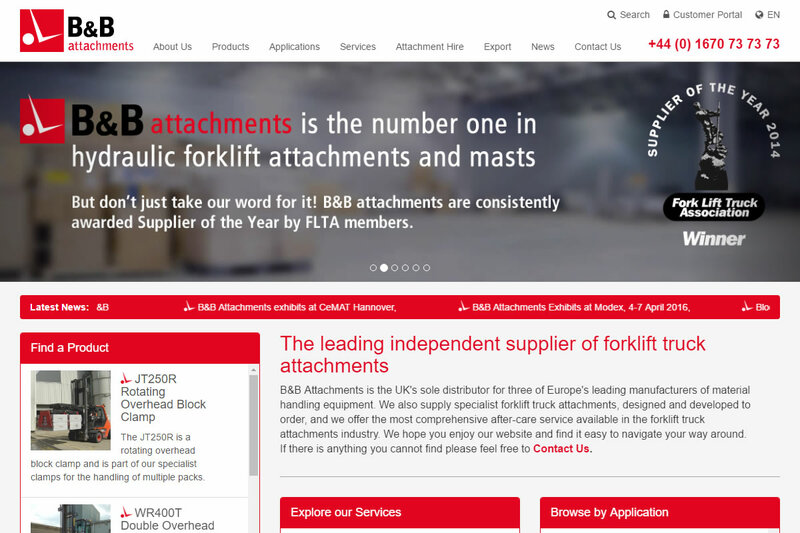 B&B Attachments Ltd is the UK's sole distributor for three of Europe's leading manufacturers of material handling equipment. 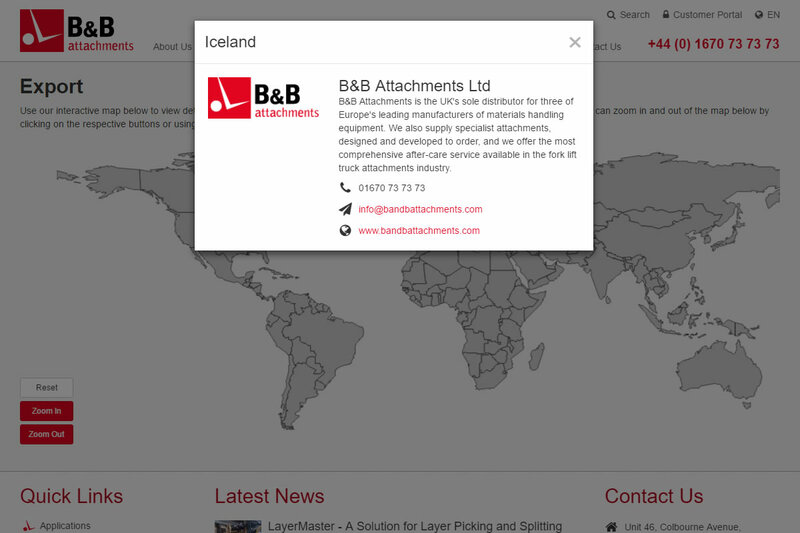 B&B Attachments Ltd had an existing website that was developed by us around 14 years ago and it was significantly out of date. They were particularly keen to have a new dynamic site created that was much more aesthetically pleasing as well as content managed to allow them to make regular updates themselves. We developed their website in line with their objectives and branding and are now looking at phase two of the project which is planned for later this year. This involves allowing the website to have some form of integration with the back office systems that they have onsite to deal with hire agreements and other documentation that they would like to make available to their customers. “Net Technical Solutions has managed to capture and bring out the personality and values of the B&B brand. They have created a framework which offers a fresh, information-rich, easy-to-use experience for the user. The new B&B website has a modern design, clearer page content, and easy-to-locate in-depth product detail. This has all been achieved within our strict time scale and budget. As a company we have very high expectations, and we have been delighted by Net Technical Solutions ability to create something we’re all incredibly proud of." Victoria Adcock, Marketing Executive, B&B Attachments Ltd.
IAPA International Secretariat is a global association of independent accounting and business advisory firms, based in Surrey. 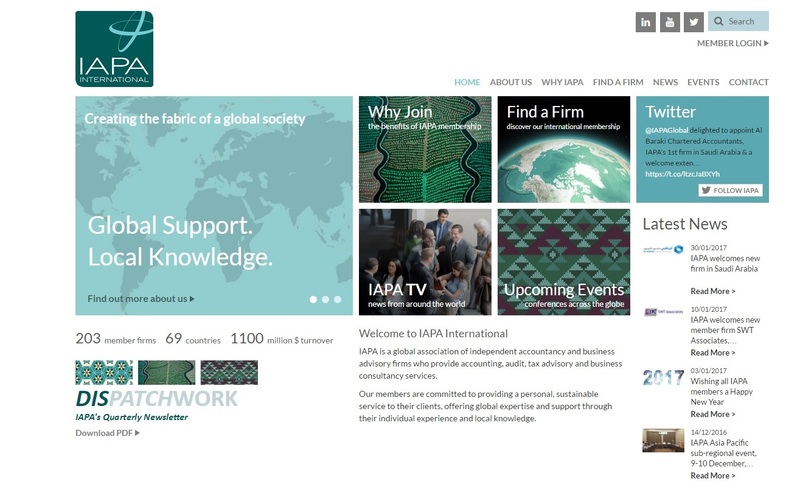 IAPA approached us with the need for a website refresh. Their existing website was old and significantly out of date in terms of design and functionality and they were keen to have a new site created that updated their new branding look and feel, was more in line with their client expectations and competitors and could be easily managed through a CMS. We delivered a dynamic updated website in line with their branding and expectations and is straightforward for them to update content on a regular basis. 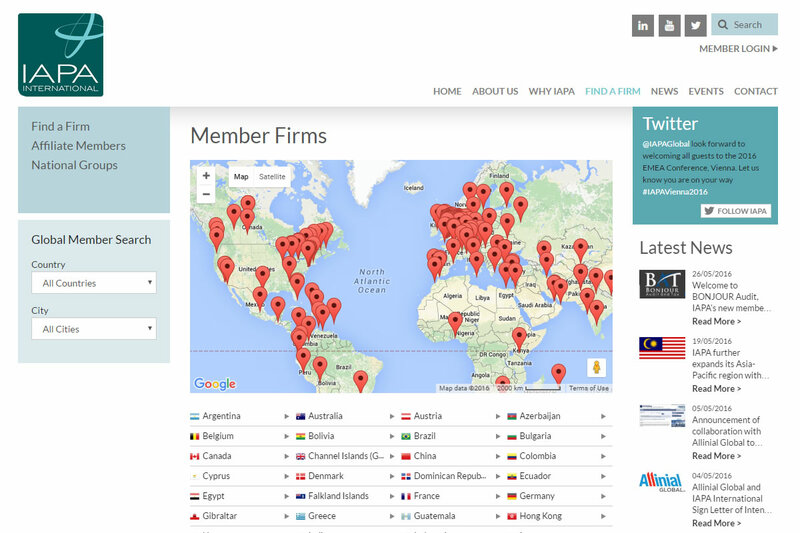 The new website also features an integrated member portal allowing members to upload and input their own data, saving IAPA time and resource. "We are really pleased to have found Net Technical Solutions and are delighted with the work that they have carried out for us, both for the website refresh and also improving our CRM system. Right from the start, they offered us friendly, professional advice and the work was carried out with great attention to detail and diligence that made the system totally tailored to our business needs. The CRM system is so much easier and more user friendly to use and has really made a real difference to staff productivity. Successful businesses have one thing in common – they are able to move and share information fast and reliably, both inside and outside of their organisation. Their processes are streamlined and logical, allowing staff to be organised and efficient with few errors or delays. When Net Technical Solutions work with you to streamline your company's processes, our aim is to make doing business as easy as possible – both for you and your staff. Our team take the time to understand your requirements and analyse your processes so that by using the latest technologies, we can advise you on the best solutions to use and develop simple systems that boost your company's productivity. More efficient business processes with less duplicated effort. Elimination of inefficiencies and bottlenecks. Fast and reliable sharing of information - reliable access to the right information anytime, anywhere. Reduction of duplication errors and delays. Proactive response to changes in your business environment. Faster, more efficient and effective working by your staff. CJ WildBird Foods Ltd is a world leader in the research, design, development and supply of wild bird and wildlife food and feeding products. We were asked to streamline CJ WildBird Foods Ltd order processing and bank requirements system so that customer orders between the websites and Sage could be tied together and orders created more seamlessly. 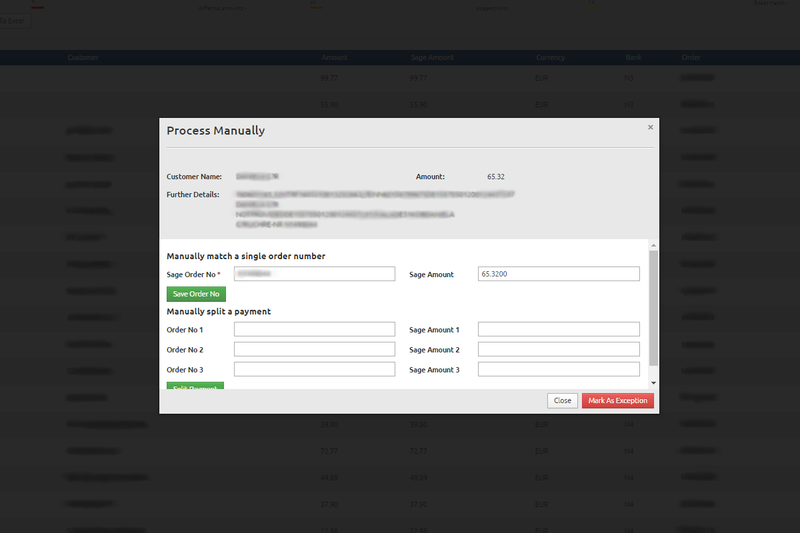 Their old system was stand alone and so by automating the processing of orders received by their website into Sage we would reduce the high number of exceptions that were currently occurring. We developed a windows service to handle the automated processing with direct database access to the Sage SQL database. This significantly reduced the amount of manual intervention from employees and therefore saved on staff to sort out exceptions and errors. New sales regions were also incorporated into the system and the new application can communicate with the varied website databases automatically. Anchor Pipework Ltd, Hampshire, offers fast, efficient plumbing, heating and electrical services throughout the UK to both the commercial and domestic sectors as well as building services engineering to commercial clients. 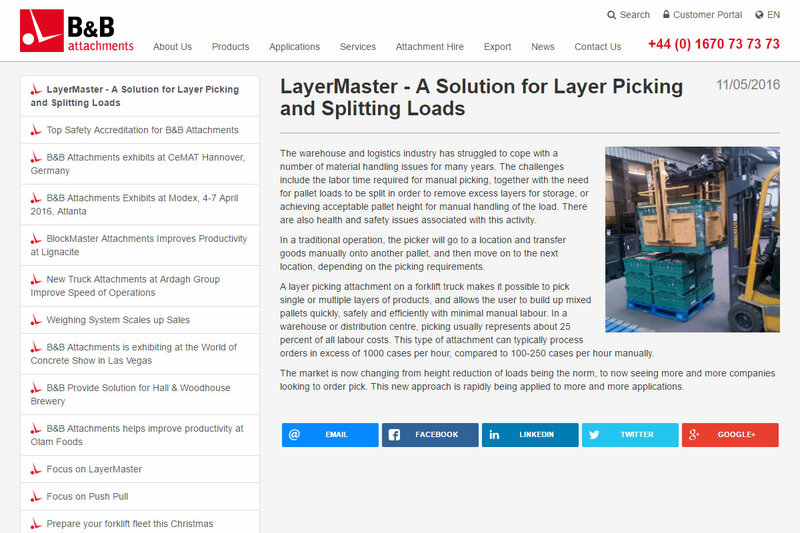 We were approached by Anchor as they wanted to streamline their customer systems by adding new functionality to their existing web based jobs scheduling and PO system. Additionally as the current system looked rather old and was technically behind given that the existing application was developed some time ago, they felt that it would benefit from a reskin and update. 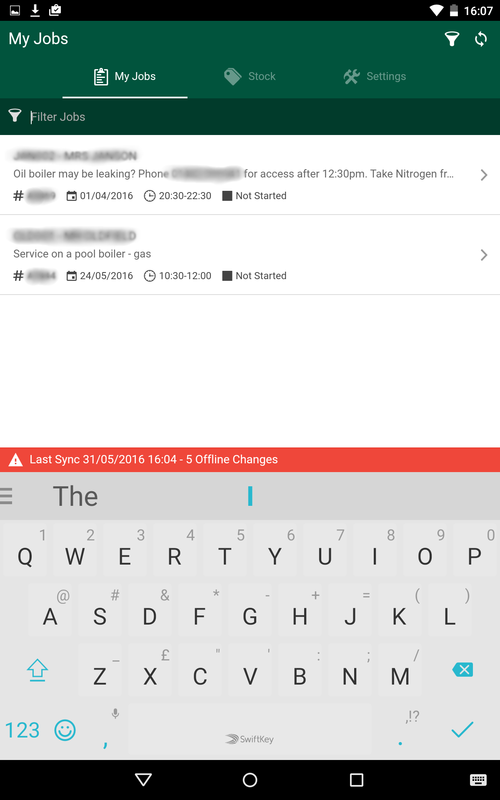 As part of the brief it was agreed to develop an android mobile app to compliment the system for use on tablets and mobiles. We updated their existing system to be in line with their branding look and feel and revamped the usability of the system to make it far more user friendly with better layout, particularly on differing sized screens. 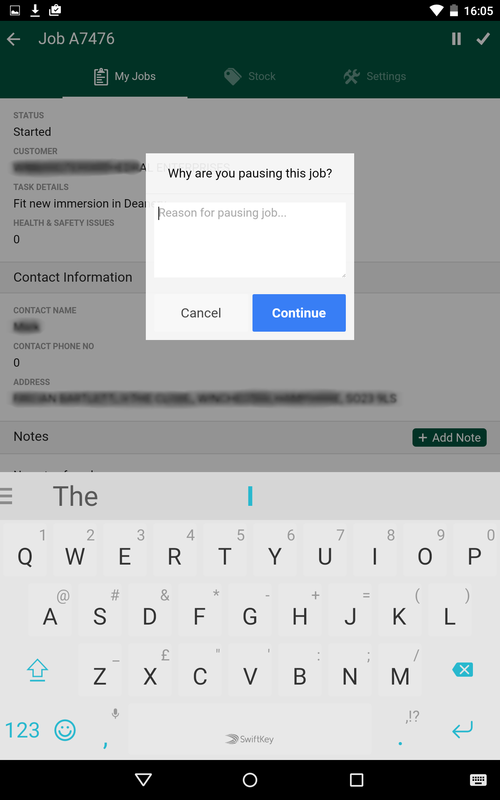 We made structural changes to the database to allow new enquiry process to be added, quotes generated, multiple engineers to be allocated to a single job, and the ability to upload documents to either enquiries or jobs. 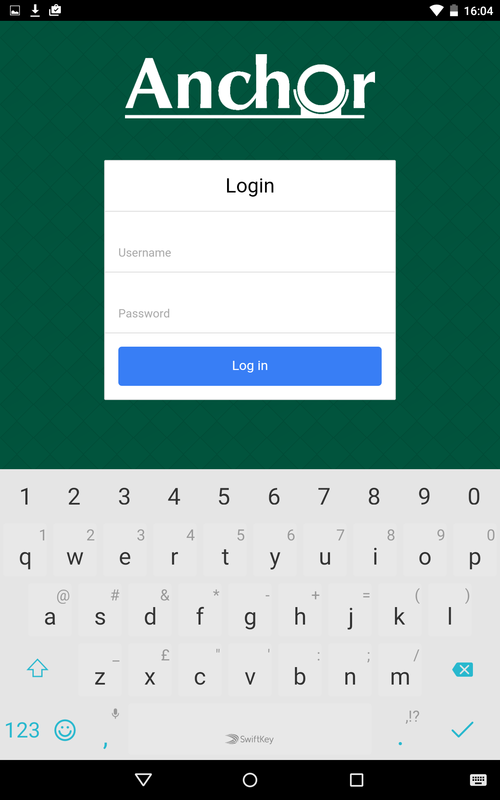 We also added a field to the PO screen to allow a link through to their accounts system. The mobile app was created in line with the new developments to the existing system and also benefits from the updated design and branding. 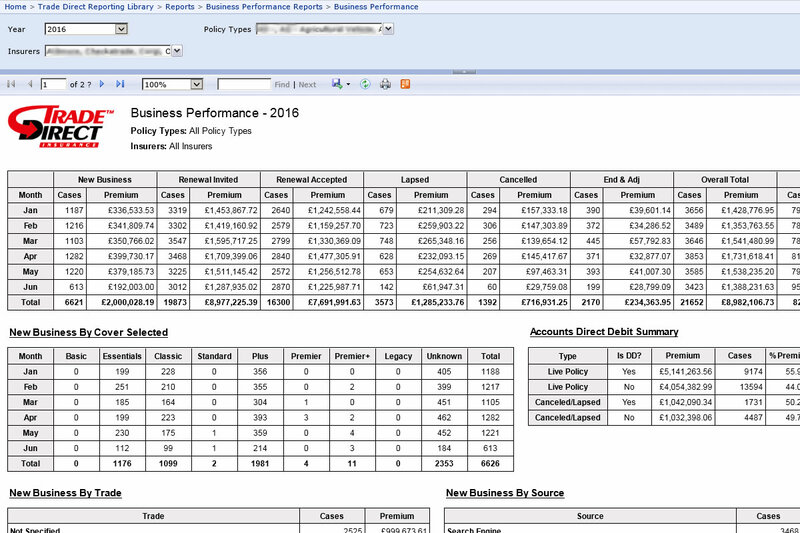 Net Technical Solutions can work with your existing data to create interactive, tabular, graphical or free-form bespoke reports to help you see your results more clearly and in turn help your company improve its overall performance. 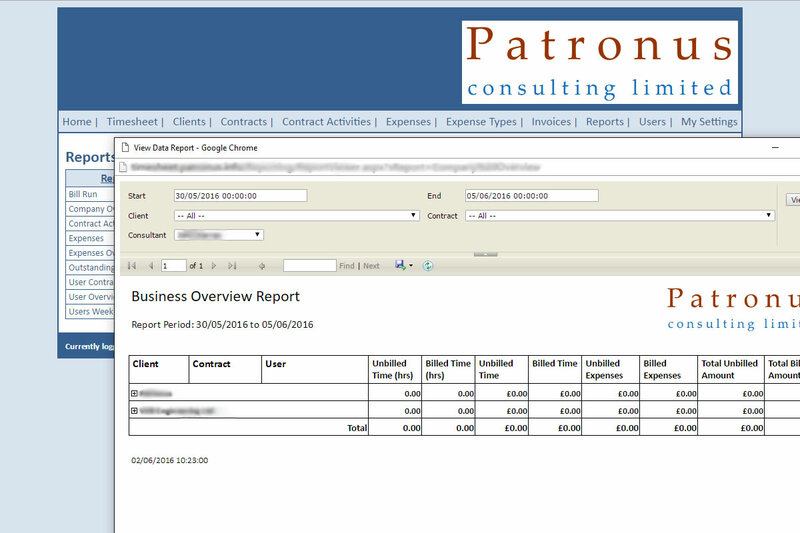 Rather than using a complex general purpose system or creating endless excel spreadsheets that can take up your staff’s valuable time, we can create a bespoke reporting system for you that is designed specifically for your business and is as simple as possible to use. Our bespoke reporting will help you to analyse and improve your company’s performance giving you greater insight into your business requirements and help move it in the right direction. Fast and efficient reporting - when you need it. 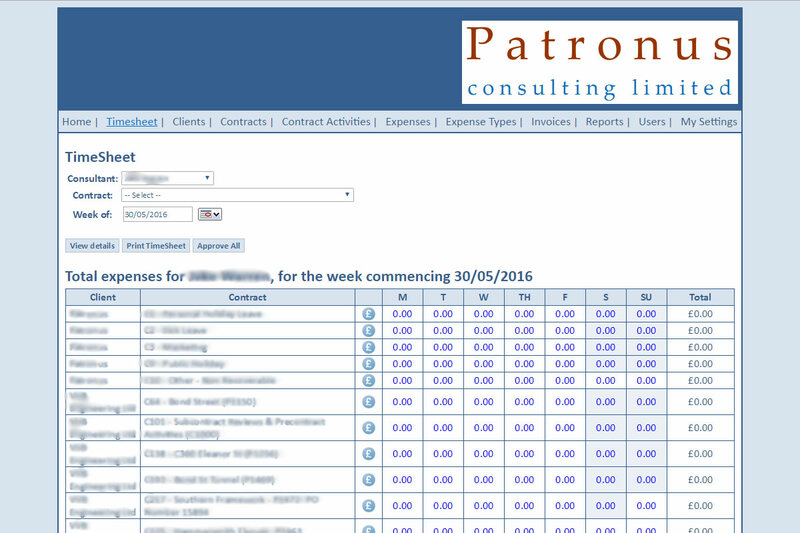 Bespoke reporting – only get the reports you need in the format you want. 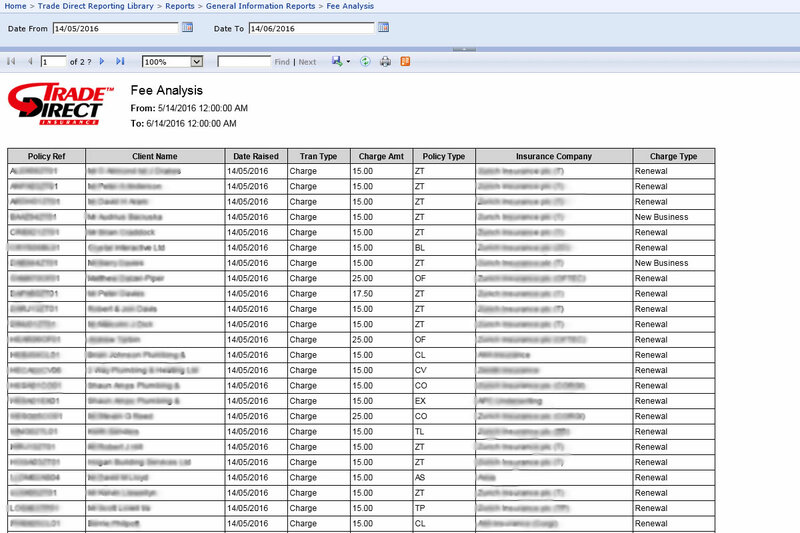 Simple or complex reporting built around pre-defined variables and criteria. 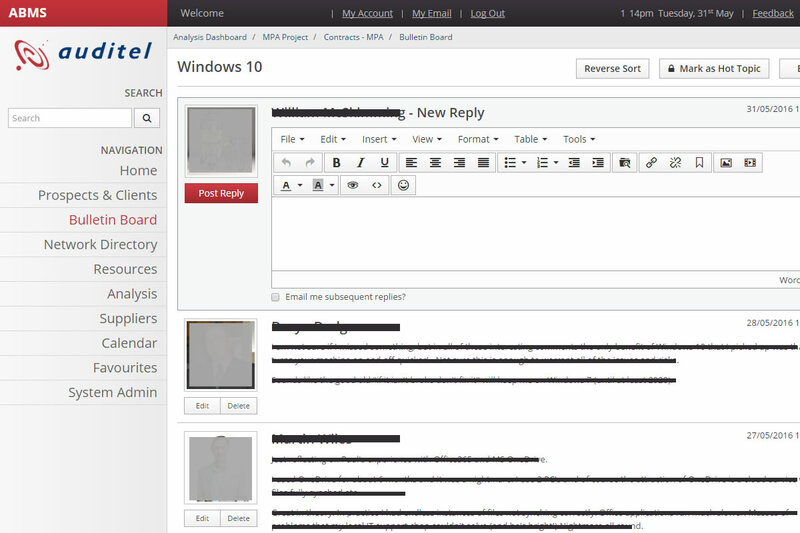 Real-time reports and historical data. Greater insight into your business performance. Based in Chobham, Baines Simmons Ltd has become recognised as one of the world’s most influential aviation consultancies in organisational safety performance. 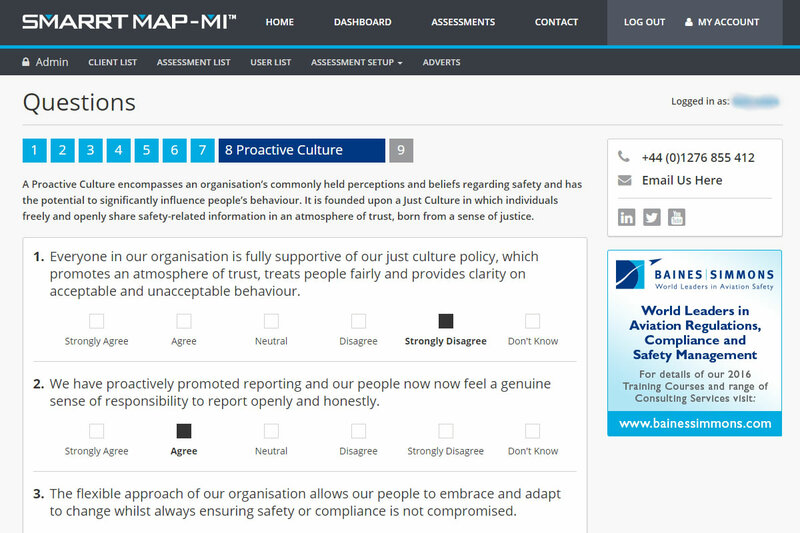 We were approached by Baines Simmons Ltd to develop a new, web based application of their spreadsheet based assessment tool to allow their client base to perform self-assessments on the maturity of their safety systems. This tool was only available for download from the Baines Simmons website and distributed as a simple spreadsheet. 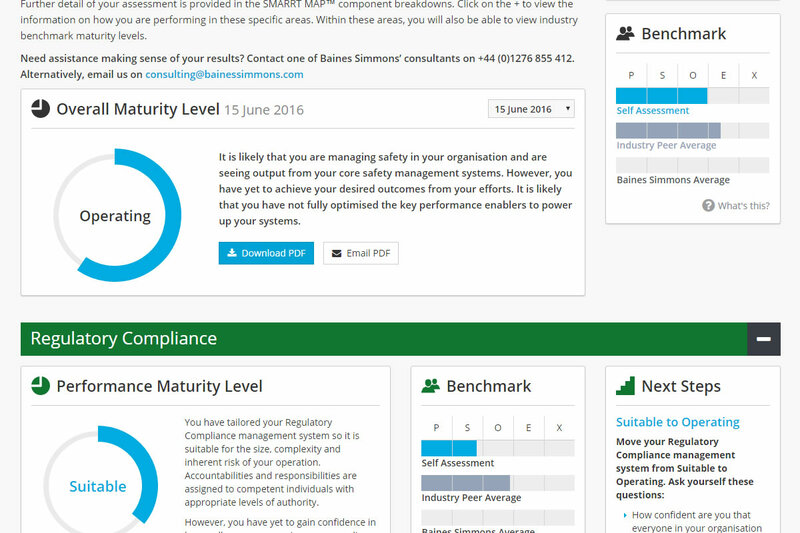 We developed a bespoke web based, database-driven application that is accessible via the Baines Simmons website. 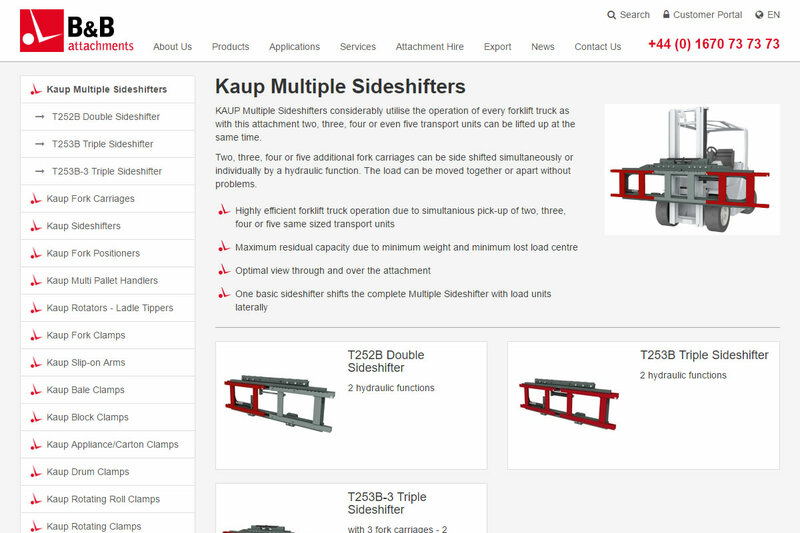 The responsive design was branded in line with the company’s look and feel. 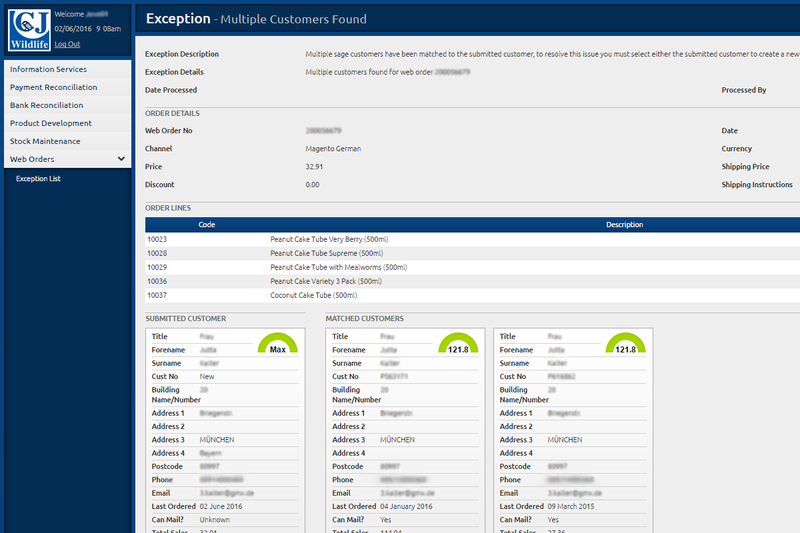 The functionality of the application includes registration; profile management; dashboard facility reporting and exporting, alerts and notifications. 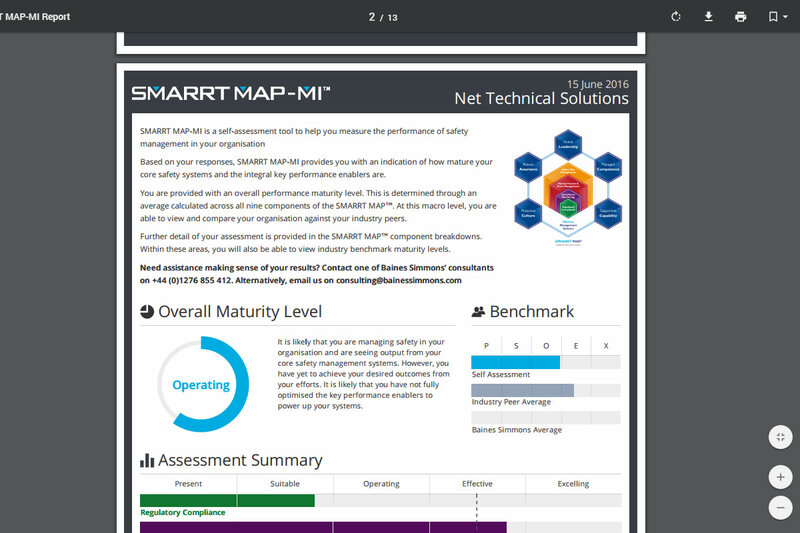 "I was impressed with Net Tech’s approach to developing our SMARRT MAP-MI assessment tool. It was developed under aggressive timelines but I found the Net Tech development to be knowledgeable, easy to communicate with and responsive at all times. I would happily recommend Net Tech for similar projects." Corina Canavan, Head of Propositions, Products & Services, Baines Simmons Ltd.
Trade Direct Insurance Services Ltd is a leading provider of exclusive insurance policies to the Tradesman and Construction industries. Trade Direct Insurance Services Ltd is part of Kelliher Insurance Group. Trade Direct use an industry standard policy management system to quote for and manage insurance policies. This system stores vast quantities of data in a SQL Server however the system doesn’t provide an adequate level of reporting. Previously they had their own in-house developers that were responsible for creating reports for them to analyse business performance but when the developers’ contracts ended, Trade Direct asked us if we could provide outsourced development services to support their existing reporting system. 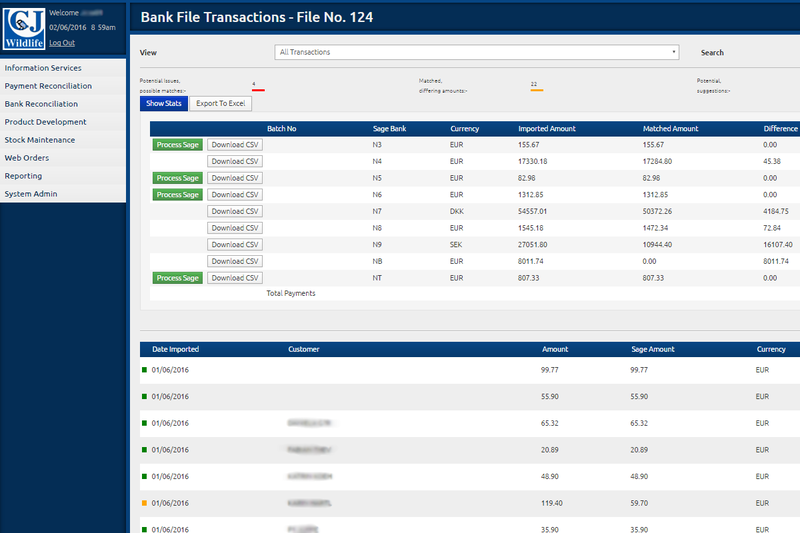 Utilizing the existing system, we regularly create a wide range of dynamic reports for Trade Direct to monitor performance and efficiency as well as ensuring data integrity and validity. 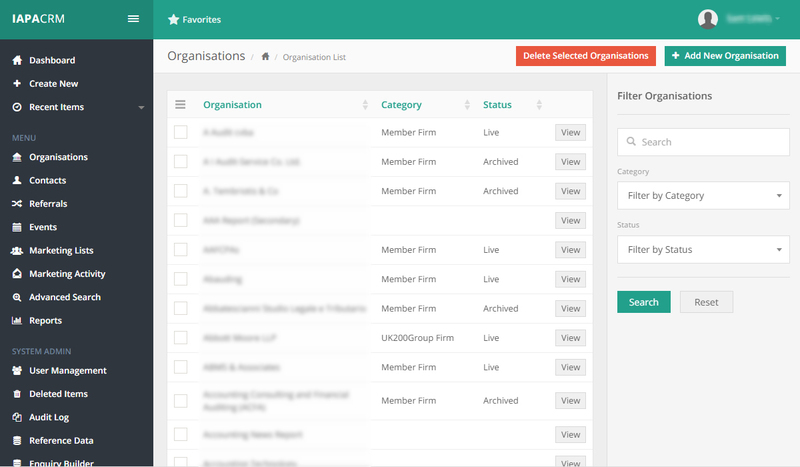 If your staff find it hard to track and share documents on an ongoing basis or create reports from existing data then your company could benefit from a bespoke file management system. We can help you improve the management, tracking and storage of your data without the need for expensive off-the-shelf software and associated ongoing annual fees or licencing. Through taking the time to understand your requirements, we can develop a bespoke file management system for your company that will help increase the productivity and organisation of your staff. By reducing duplication, improving data structure and file back-up procedures, allowing faster searching and document tracking, a bespoke file management system will give you more efficient reporting capabilities. 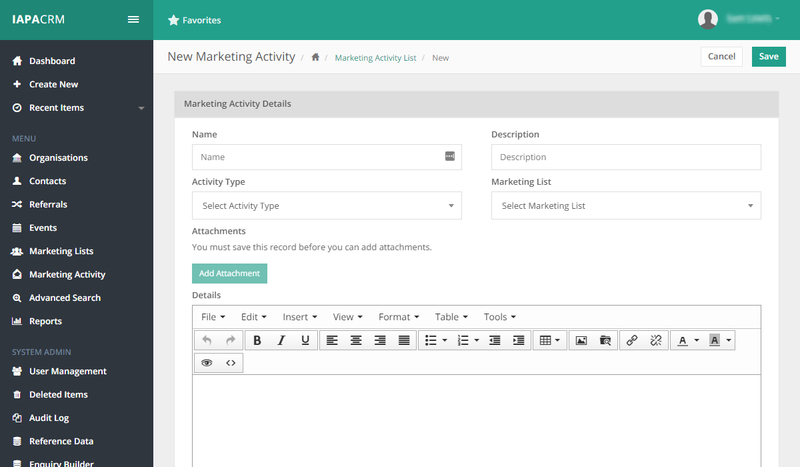 Management of your data files all in one place. Faster search and easier retrieval of files. 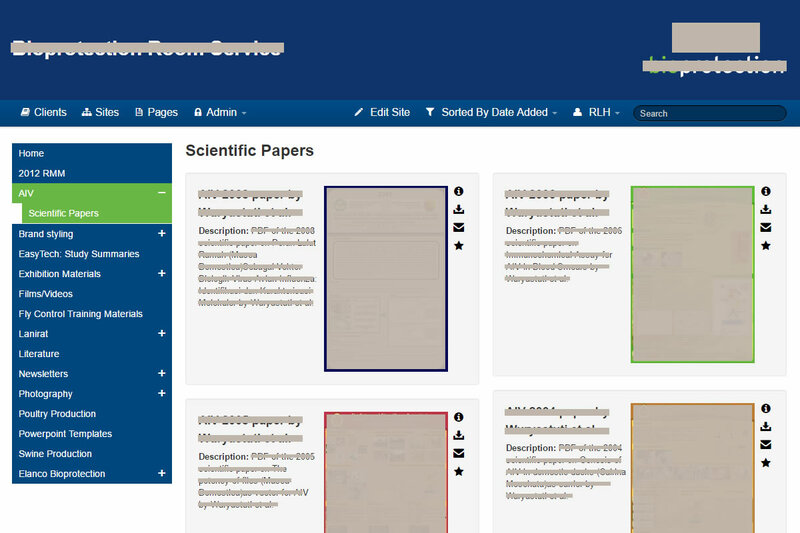 Improved document tracking at each stage of processing. Addition of notes and status updates. Increased staff productivity and efficiency. Ross Levenson Harris Ltd is a London-based full-service advertising agency servicing B2B and B2P clients since 1977. Ross Levenson Harris Ltd (RLH) had an existing web based file system that allowed them to share design and marketing materials with their clients via an online portal. This was often in the form of large image or zip files and therefore the system needed to be capable of uploading very large files as well as having each mini portal branded in line with the particular client it was aimed at. The existing system was very old and clunky and no longer supported. We were asked to develop a bespoke, fresher looking system that had additional functionality and much more robust upload facilities. 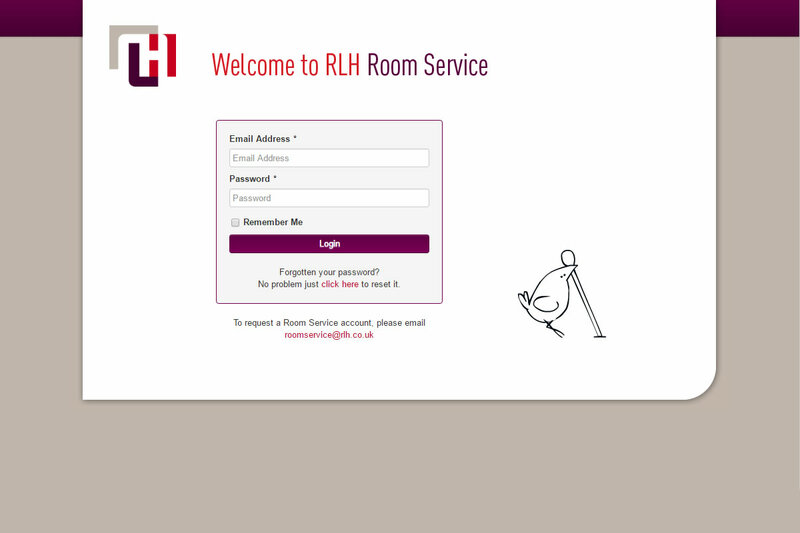 We developed a file management system that allows RLH to share large files quickly and easily via an online portal and has a refreshed design and updated branding in line with their objectives. 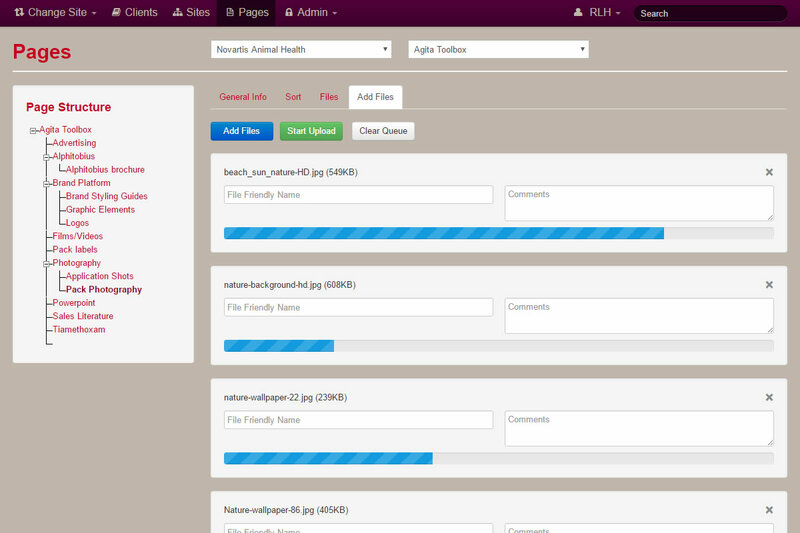 “Net Technical made the transition of our current portal to the new system a painless experience. The data we were transferring needed to be available at all times throughout the transfer and this was achieved without any disruption to our clients. Based in Berkshire, Meedhurst Project Management Ltd specialises in development management, project management and employer's agent services for developers and owner/occupiers. Meedhurst approached us as they had identified the need for improvements to their document management system that would ease the way users stored and accessed documents and files within the company. The current rudimentary system involved storing files on a physical network drive and as well as being time consuming to use and not formally managed, it lacked structure and had poor search facilities. 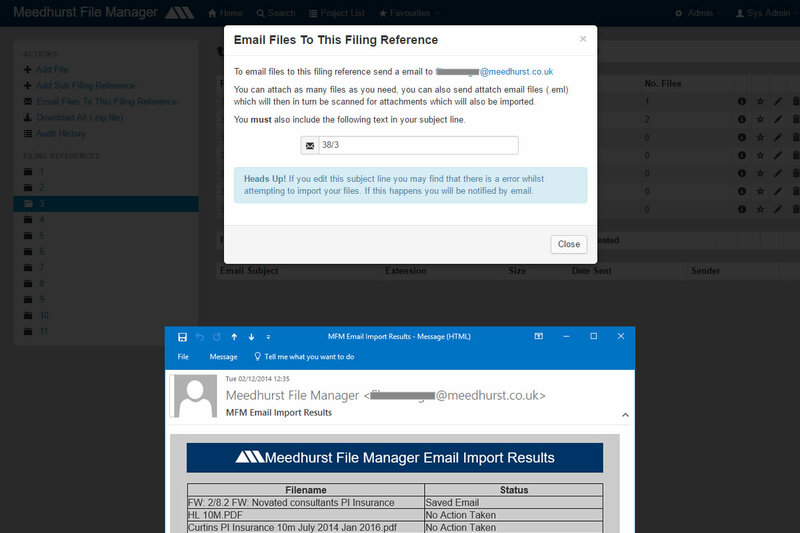 We developed a bespoke system that alleviated the existing problems of Meedhurst’s file management system and now ensures that documents are managed in a far more structured and efficient way. In addition to making it easier to store and retrieve files, version control also features in the file management system. The HR and time recording functions of any business are crucial and can pay dividends when properly applied but can often be labour intensive and tiresome to perform. So if your time is money then let Net Technical Solutions create a bespoke time-recording system for your company, based on your specific requirements. 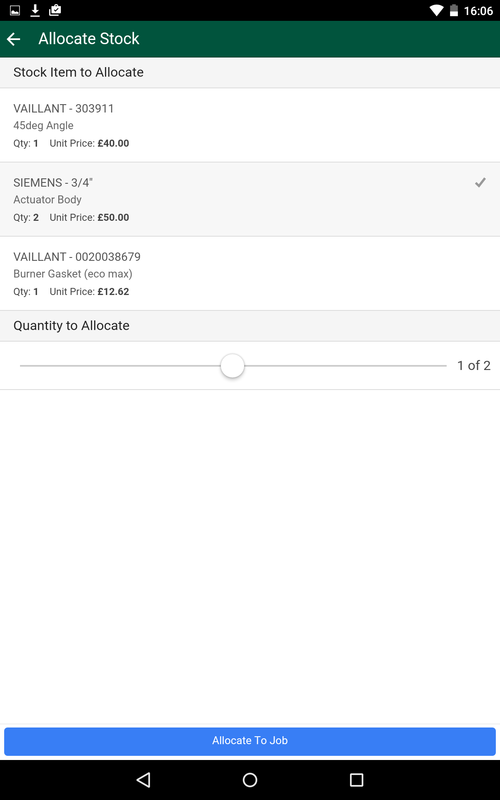 With no ongoing software charges or licencing fees like off-the-shelf applications, our software solution will help you to bill accurately for your time, control labour costs, minimise compliance risk and improve the productivity of your workforce. Time recording system built for your business needs. Simple and easy tracking and reporting of all recorded time. Consistent and accurate recording of time across the organisation. Web-based or desktop deployment, depending on requirements. Remote accessibility of time recording - anytime, anywhere. 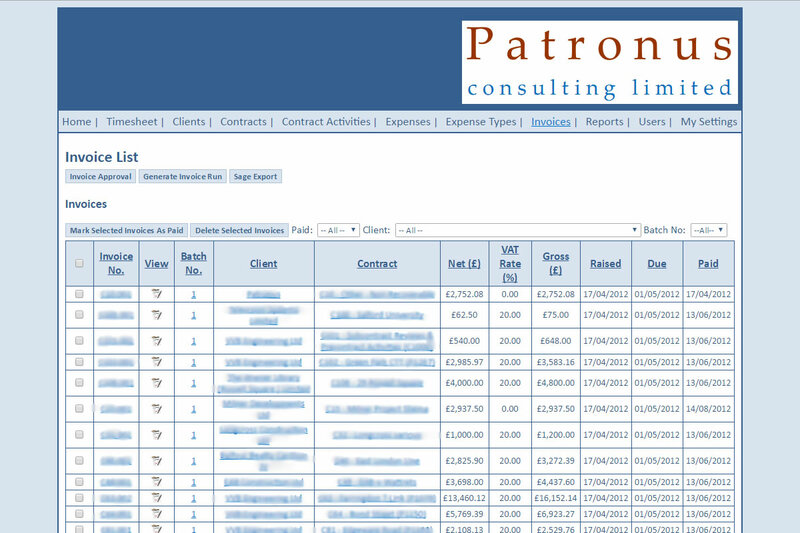 Patronus Consulting Ltd, based in Farnham Surrey, is a company that specialises in providing commercial contract and dispute resolution consultancy services to the Construction and Engineering industries. 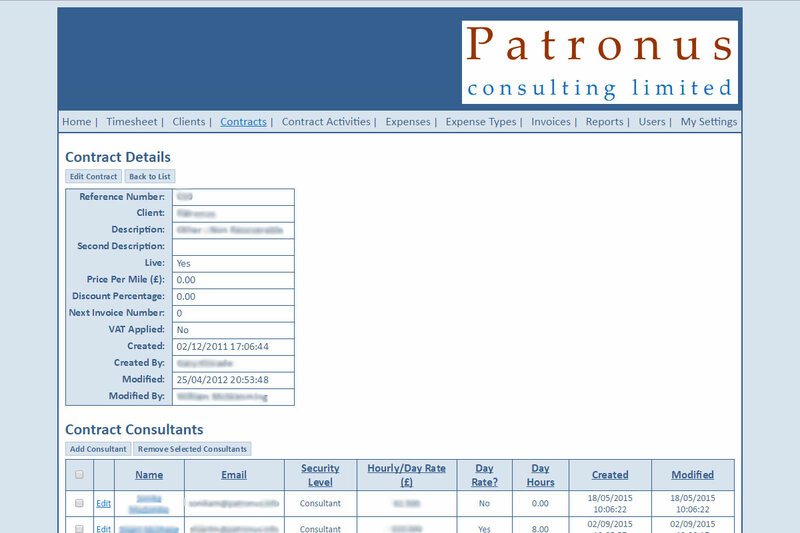 Patronus required a time recording system that allowed them to record and track all time spent by their consultants on each and every contract for the purposes of accurate invoicing as well as handling expense claims by their staff. This was currently being carried out by using separate spreadsheets and paper which was time consuming and difficult to manage. They were looking for a single consolidated system to help them manage this. We developed an efficient and easy-to-use bespoke time recording system that streamlines this process whilst reducing the duplication of effort and potential for error. By allowing the data to be centralised at the point of entry it eases the day to day administrative overhead involved in keeping track of time spent on client jobs by staff which in turn allows for more accurate invoicing. If you have a bespoke software application project or just need some more information, please get in touch. Fill out the form below and we'll get back to you as soon as we can. Alternatively, contact us today using the telephone number or email below. Success! Your message has been sent, we will be in touch shortly to discuss your project. Well this is embarrassing! Something went wrong while trying to send your message, please try again or contact us using one of the methods below.